Nature massage music is often chosen by massage therapists for it's gentle relaxation and soothing sounds. 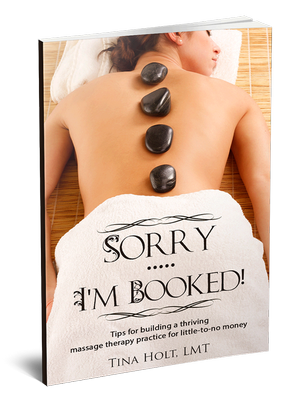 Many artists write, produce and record this type of music for massage, spas, and yoga businesses. Nature massage music for natural relaxation and healing! White noise, found often in nature sounds, is ideal for massage therapy, sleep, meditation, yoga, and relaxation. It is used in many healing atmospheres, as well as for creative inspiration. Some CD’s and compositions are actually recorded in forests or national parks across the country. Nature music includes outdoor sounds such as thunderstorms, birds, waterfalls, babbling brooks, oceans, owls, wind storms, etc. Acoustic guitar music or native flutes are also great to add to true nature sounds for some excellent massage therapy music! Massage therapists, yoga instructors, Reflexologists, and many other types of therapists are often extremely picky about having the perfect music for their office and clients, and nature sounds are a great choice for any of these settings. This CD, Healing Sounds of Nature - Thunderstorm, Rain and Ocean Waves provides highly-rated nature sounds with relaxation music. It includes thunderstorms, ocean sounds, and rain. Read more about why massage is more relaxing with nature and water sounds. Clients often prefer nature sounds to just piano, guitar, or other instruments. It reminds most people of peaceful, relaxing times and places far away from the normal routine of everyday life, and therapists want to provide that escape for their clients. With soothing nature sounds, as they have their massage they can go to a far away place on a wonderful, relaxing vacation...if only for an hour. Rain falling is considered the most natural form of white noise and it is known to encourage deeper sleep and relaxation. It can include a downpour or splashes of rain falling against a window or rain combined with natural ocean wave sounds. Nature sounds may also include singing birds, blowing wind, crackling fire, babbling brooks, or leaves that are falling from trees in the heart of fall.....or at least that is what we imagine them to be in the quiet and peaceful massage therapy room, as we go into a deep state of relaxation. With guitar or flute music added, a nature massage music CD is perfect for massage therapy and deep relaxation.